The P-95 gives musicians the dynamic, high-quality sound and natural piano touch response they expect from Yamaha, along with a high-quality built-in speaker system are packed slim, exceptionally affordable instrument that’s always ready to play when you are. No compromises, Yamaha quality. The attractive, slim, lightweight design of the instrument —less than 12 kg— suits virtually any interior décor, and occupies less space than most coffee tables. No piano movers required. This instrument features an array of commonly used sounds such as grand pianos, electric pianos, organs, harpsichords, vibraphones, and strings. 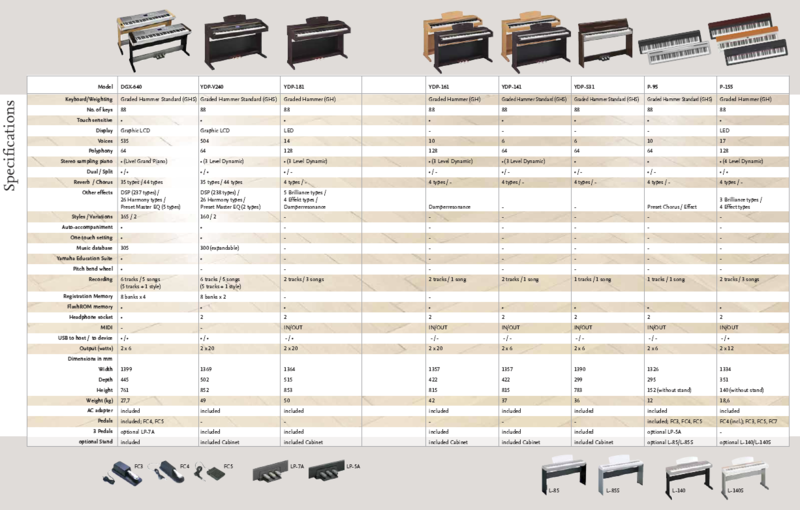 Each of these sounds has been recorded and recreated with Yamaha’s unrivaled attention to detail. Weight : 25 lbs., 9 oz.